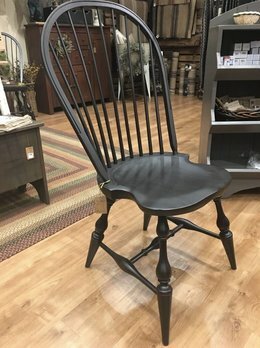 The Large Bow Back Bench is unique because it is built like it was two hundred years ago at the hands of Lawrence Crouse and his son, Abe. They use four different types of wood: Hickory, steamed white oak, Hard Maple & Poplar or Pine. 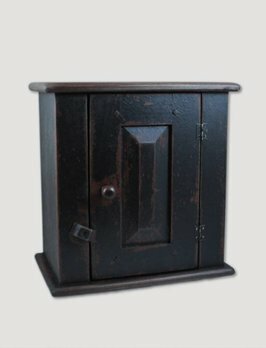 The Weaver's Stool is unique because it is built like it was two hundred years ago at the hands of Lawrence Crouse and his son, Abe. Perfect for a kitchen island! The Fan Back Settee with Knuckles is unique because it is built like it was two hundred years ago at the hands of Lawrence Crouse and his son, Abe. They use four different types of wood: Hickory, steamed white oak, Hard Maple & Poplar or Pine. Our Sack Back Settee is unique because it is built like two hundred years ago at the hands of Lawrence Crousse and his son, Abe. Perfect for a living room or sitting room. Sure to an heirloom for generations!